The Odonata are an order of insects linked to the water element. In the juvenile stage they live in neanidi and nymphs in the water and their larval cycle (in the Anisopterans) can reach up to 5-6 years. The adults are skilled flyers and daytime predators who always live in conjunction with water. The Odonata are commonly referred to as "Dragonflies", although this term belongs specifically to a single family of Anisopterans. 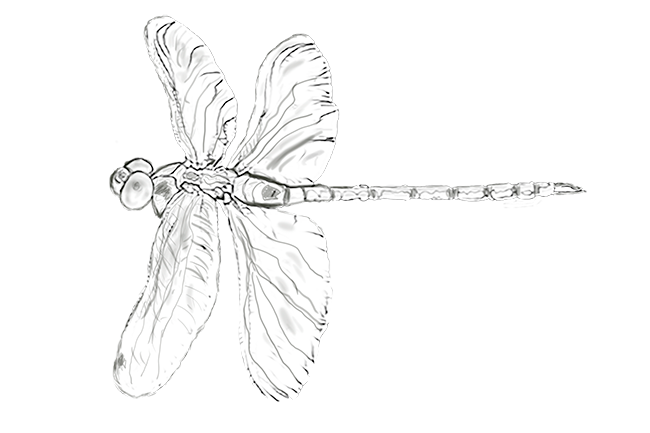 In a more specific subdivision, the "Anisoptera" are distinguished in "Dragonflies" and in the "Damselflies" the Zigoptera. - heavier and more powerful rear, triangular shaped. The resting wings are always extended perpendicular to the body. The Zygopterans (generally classified as Demoiselle and Damselflies) have similar front and back wings and at rest they always keep them extended parallel to the body. © Testi e fotografie sono tutelati dalle norme sul Diritto d'Autore.